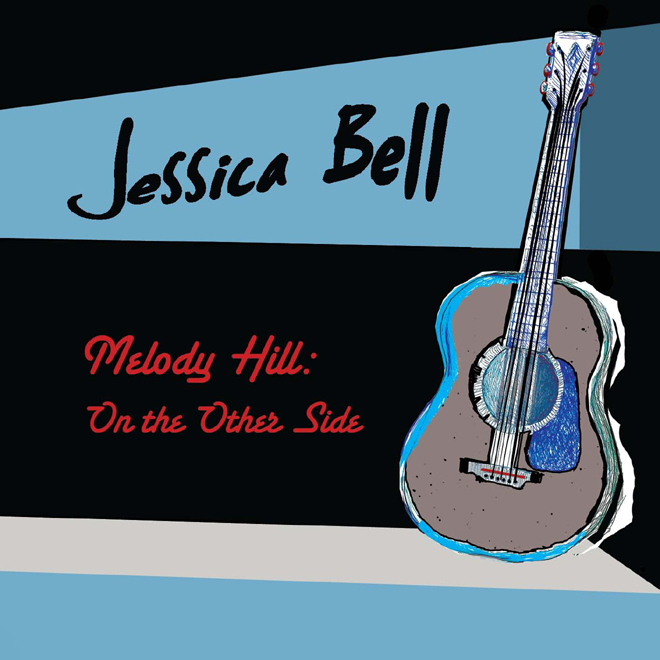 Today I am hosting Jessica Bell on her tour for String Bridge. However, this stop isn’t about her book. 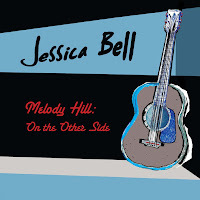 It’s about the CD partnered with the book, Melody Hill: On the Other Side. And this metal head Ninja was impressed! As a fellow musician (lame thought I might be) I was impressed by the talent behind this CD. Jessica wrote the music, sings, and plays three different guitars. The result is a solid mix of songs with a vibe similar to Sarah McLachlan and a hint of folk music. The music drifts you down a winding river, lazy in some parts and rushing in others. The journey is accompanied by soulful vocals that will haunt and echo long after the music ends. So you really want everyone to hear you? And you want everyone to see you? But do you really want to be this famous? Somewhere along the way we realize we have been given a glimpse into Jessica’s soul. And it’s a pretty amazing sight. This CD accompanies your new book, String Bridge - how? Well, the songs were written from the perspective of the main character, Melody, a woman who plots a return to the stage, and the person she used to be, before relinquishing her music career for motherhood. I also channeled Melody’s musical influences to write the songs, including PJ Harvey, Patti Smith, Nick Cave, Joni Mitchell, Nightmares on Wax, and Enigma (which are, mind you, my influences as well). Which song is your favorite and why? My favorite is the title track, On the Other Side, because in the past, when I actually wanted to be a rock star, I always wanted to write something heavy enough to head-bang to. I think I succeeded. Will you be performing this album? Actually, I think I will be. I've been encouraged to get a band together in order to do some gigs here in Athens. I'll let you know more when I know more! Which is closer to your heart - music or books? Now I can't answer that because neither one thrives without the other. My bigger ambition is to write books. But the heart is not a place where ambition resides. She just raised more questions, didn’t she?! For more information on her book, String Bridge, visit the official SITE. Any questions for Jessica? Have you listened to the CD? I’m not losing metal head points for this am I…? Cool idea to release a CD to go with the book! SF/Horror writer David Lee Summers created a computer game to go with his novel The Pirates of Sufiro. Too bad I have no musical talent and don't know how to program. . .
oooo I love that! "The heart is not a place where ambition resides." Both sound enchanting. I'm going to check them out. Yes! Yes and Yes! LOL! !So long as there's cake and wine! Thanks so much for having me, Alex my man!!! :o) So glad you liked the album! woohoo!!! I just saw a review of the book on MPax's blog. Put it on my wish list. Sean, I'm not talented enough to do a CD, but it would be cool to have a game with my books! Kitty, cake, wine, and Daniel Craig for you. Jessica, you're welcome and I was impressed! What a great way to promote both your music and book in having them together. I listened to one of the songs on another post and it was amazing. Good Luck! I love when two different kinds of art can compliment each other but I do see song writing and story writing has somewhat similar. Now singing? That's a different skill for sure! The album sounds awesome and it's cool that you're thinking of starting a band. It's amazing that you're so talented in writing and music. The combination must really strengthen your writing. Good luck with your book. I can't wait to get this CD. The track I've heard is just amazing. You wrote a terrific review and you can never lose metal points. They're permanent like a tattoo. Non metal music can have still have lots of angst. Your metal card is still in good standing. I am totally in love with the high concept for the novel/album release and it makes me think of Coheed & Cambria, who did something similar I believe. Aww a girl after my own heart. I love my guitar and use to write songs, but haven't in a few years. Good luck. I can't wait to hear it. What a great concept to release CD and Book together. I loved this quote from Jessica, "But the heart is not a place where ambition resides"
Melissa and Rusty, that's good to know! If you buy the book, you have to get this CD as well. PS no metal-head points lost! I've listened to Jessica's CD probably a dozen times since this weekend. She really did a nice job with it. Jessica, I salute you for the great idea of offering music to go with your book. It's great to have talent in both directions. Laura and Suze, I feel better now! This album sounds like just my kind of thing. Thanks for sharing, Alex. Great review, Alex. Loved your questions for Jess. Even this metal head likes some of that kind of music on occasion! I'm seeing Jessica everywhere in the Blogosphere. She has a lot of support from a lot of people. Good luck to her! And I would like my fifteen minutes but not the continued fame that can ruin people. I first watched your book trailer on Chris's blog...looks good. The music is compelling! I was lucky enough to win the CD and listen to it often. Jessica has a lot of talent. Very good interview, Alex. You were very fair with your review. There's nothing wrong with having eclectic tastes and enjoying a wide range of music. This sounds like the kind of music that I like--drifting down a musical river sounds very enjoyable to me. Jessica, let me know when you play Los Angeles so I can go hear you live. I guess you'll be signing a movie contract for the book while your here. I received the album with the book and although it's not my usual music either, I did enjoy it. Jessica's music is as haunting and beautiful as she is and as I am sure her book is. I am eagerly awaiting its arrival from Amazon. Great interview! I haven't had a chance to listen to the music yet but I am so doing that today. A great interview, Alex. I am all about the lyrics to songs and this album looks like a good one. Excellent interview, Alex. And as for the famous thing. It doesn't matter how many people know me. What matters most to me are the kind of friendships I've made along the way. No amount of fame or popularity can ever take the place of those who'll always have my back. Love the idea of releasing a book with a music CD. How cool to listen to the music as you read. 'Course it wouldn't work if I did it 'cause I can't sing a lick. Charles, you'll like it then! Lee, bet she'd be thrilled to sign a movie deal! Jess is ultra talented and ultra beautiful inside and out. Her voice soothes. Particularly if you are drinking wine while listening. Wonderful interview, Alex. Jessica, I'm enjoying getting to know you better. I'm so envious of someone with two awesome creative talents. I hope you find great success, Jessica. Jess, Congratulations on what promises to be an amazing album and book! Firstly, Alex, I am in awe at the amount of comments you are getting on a post that is not even about you. Wow. You've got some devoted followers here! Civil, I've actually got a friend who's in the process of writing the script for a video game that goes with her novel. It sounds like a really interesting concept. 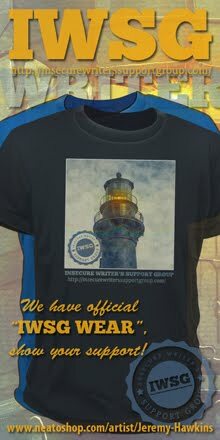 Donna, I hope you like what you see/hear :o) thanks for reading! Old Kitty, haha, of cOURSE there's wine! Laura, actually they can be similar, but I would also say they are completely different. Confused? I can NOT listen to music when I write because all I end up wanting to do is sing. I think I use different parts of my brain for each skill. Natalie, Thank you so much. You have been so supportive. Melissa, I agree, no metal points lost. In fact, I think he's earned more! Rusty, I've never heard of Coheed & Cambria, I'll have to look them up. Thanks for reading! Laura, thank you! I hope you do! DL,a dozen times? *Blush* Thanks! iZombie, hope you like what you find! Morgan, thank you very much! MJ, glad to hear it! Matthew, what are you doing online? You should be revising!!! Charles, and I even like some metal on occasion. Gotta give all sorts of music a chance, right? Stephen, I agree. I don't think I'd be able to handle that chaotic fame. Clarissa, glad to hear it! Jeffrey, exactly. I can't thank the friends I've made online enough. I couldn't have done this blog tour without them. Laila, I hope you listen one day! Robyn, Aw thank you sweetie! Def no points lost, I agree. Mark, if you like this sort of music then you're rad too. Susan, thank you very much! Johanna, thanks, I appreciate it! Alex, I love rock too, but I'm very eclectic in my music and very much mood driven. But I do see some of the Sarah McLachlan--vibes and the fact she writes song with some pretty hefty emotional impact and I can definitely see Patti Smith (loved Because the Night and she has hints of Janis Joplin). Wishing you the best with this Jessica! 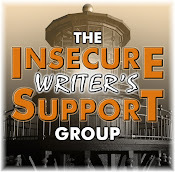 I love all the writerly support in this community. This is the third blog I've seen this on. Awesome. I'm captured by the unique, creative idea of a cd-book combo. Off to visit Jessica's blog. Thanks Alex. A wonderful and honest review Alex. It is a good idea to release a cd with a book. What cd would you choose for your new book ? three guesses who I'd have as I can't sing. Robyn, especially if you're drinking wine to the song in the video. Jessica, you're welcome! And I'm surprised I get any comments on posts about me. Sia, I think you'll dig it. And I liked Keel's version of Because the Night. Hope that's all right. Yvonne, that would be wonderful if Daniel did a song to one of your poems! The song is awesome! It's enchanting, I love it. Great review Alex. Best of luck Jessica this is a hit for sure! I'm already intimidated by this multi-talented woman. I'll be checking out both book and cd. It's fantastic you've found a way to mix your two great passions: music and writing. You appear to have some talented folks in your army, Alex. My sister is a writer and composer. I envy her talent, just as I envy yours, Jessica. I love that you wrote songs to go with your book. Your talent amazes me. With influences like those, this album looks spectacular. I already know Jessica from her poetry, looking forward to getting to know this other side. Way to go, Jessica. I'm seeing you everywhere. Helena, you and me both! OMGosh! What a sweet voice she has!! Thanks for this post. Beautiful music is always appreciated. Third blog I've been to that recommends this book and CD. On my list. Thanks for a great review of the music. Also love the idea of the two together. Much talent there. I'll definitely have to give it a listen myself. Love the CD being included. Very original. Wow! How exciting it would be to have the musical talent to go along with a book. Good luck and happy promoting! Huntress, you will really enjoy her CD! Monti, you are both a writer and an artist! Excellent review. I have a good sense of the music, now. I'm sure I'd like both the book and music. Thanks! Jess rocks it. In multiple mediums! Can appreciate the album thanks to your review Alex. Have heard a lot of positive buzz re the story. Bell is obviously very talented, I wish her the best. Jessica - You are amazingly talented! Wow! I love how music and writing are intertwined for you. Kudos to Jessica -- musician and writer! What a fantastic combination. As described in that record should be very interesting. Great idea to have an interview with the review -- wish I'd thought of that ;) The Other Side is my favorite too. I'm afraid of listening to it while driving: Guarenteed speeding ticket. Will, I had questions and Jessica had answers! How great is this. She is amazing. I can't wait to hear it. The book was great. I won Jessica's CD and finally had a chance to listen to it this week - it's very beautiful. What an awesome idea! I would have never thought to do something like that. Very cool. If only I were that artistically talented. I can barely find time to write blog posts I can't imagine finding the time to write a book AND a CD to go along with it. Nicole, that was the best description I could provide. I love Jessica's musical influences, Patti Smith, Nick Cave ... excellent! Jessica is very talented. I enjoyed the book. Interesting interview. I'm always impressed by people who are multi-talented. How very cool, a CD and a book. Kinda like dinner and a movie!!! I do so love her work. 'Just jumped back from her site. God bless ya and enjoy this wonderful day Man!!! What a clever idea for a writer/musician. Sounds like Jessica is a very talented young lady. Great to learn more of Jessica. Love that, what a cool idea. Congrats on your double release, Jessica. Amy, knew you'd like it! LTM, then she did good selecting that as the first video. Jessica is both a great writer and a great musician. 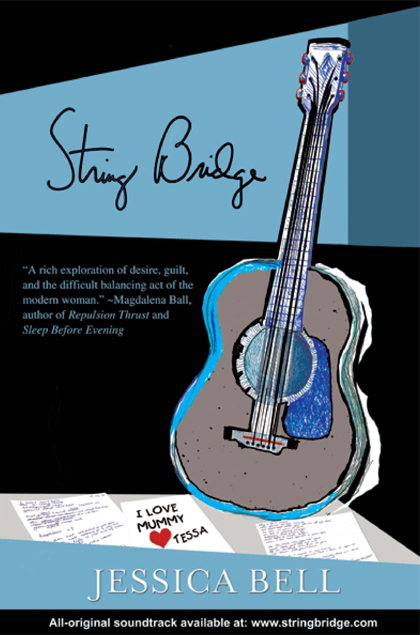 I've read String Bridge, and I loved it! Jessica put together a brilliant blog tour. How clever to combine music and writing in her promotion like she did in her tour. Metal head points lost? To me, you've gain points!